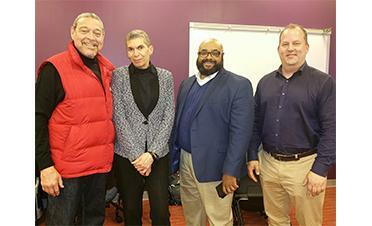 Morgan State University (MSU) held its semi-annual Design and Construction Management Campus Wide Open House on March 21, 2019. The open house was held to bring attention to many new replacement and major renovation projects. MSU, founded in 1867, is a notable historically black university experiencing continuous annual increases in undergraduate and graduate student enrollment. Projections for enrollment growth by 2025 will increase to 13,000 students from the current level of 8,000 students. President David Wilson, Ed.D. is planning for expansion and growth in all sectors of the campus with a new Health and Human Services Building and twin high-rise student Public Private Partnership (P-3) residential towers. Northwood Shopping Center which is located directly across from MSU will be demolished and redeveloped. About a dozen deferred major maintenance projects will be addressed and are scheduled to start between now and 2023. Kim McCalla, Associate Vice President of Facilities, Design and Construction at MSU opened the meeting to approximately 100 registered guests consisting of A&E Design professionals, prime construction management firms, and MBE/WBE trade contractors and suppliers. Ms. McCalla introduced twelve MSU design and construction management staff members to the attendees and informed them that MSU, unlike Maryland’s other public colleges and universities, has its own autonomy to select its design/build construction team for each project planned on campus. 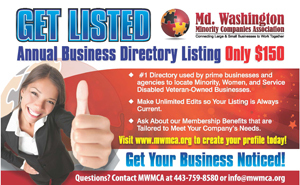 She also stated that she is proud of the collaborations between the majority-construction management firms teaming with Maryland Department of Transportation (MDOT) certified minority/women owned firms to compete for project approval. She noted that many of these collaborations also hire MSU students from their schools of Engineering, Architecture and Construction Management during the project’s tenure and beyond.